New Zealand born, Bristol-based Greg Cordez is a busy fellow, dividing his time between the UK and New York City and his talent between electric and double bass. His CV features a diverse range of artists including Patrick Wolf, Jim White, Merz, Oi Va Voi, Avishai Cohen, Hayley Westenra, Jerry Douglas, Iain Ballamy, Jason Rebello, Pee Wee Ellis, Jim Mullen, Andy Sheppard amongst many others, and his press release mentions influences from Charlie Haden, the Bad Plus’ Reid Anderson and Todd Sickafoose (another Haden fan) but also Mogwai, Ethiopiques and Gram Parsons, so we can tell that we’re dealing with a wide-ranging musical multidisciplinarian. ​This recording follows on from 2015’s Paper Crane; while that debut was recorded in Bristol with some of the city’s finest, this sophomore recording sees him in Brooklyn with an impressive cast of hot New York players, loosely associated around the New School in Manhattan all of whom share his genre-blending proclivities. Kirk Knufke and Micheal Blake both simply fly in their solos after the Ethiopiques flavoured theme on opener ‘Chekov’s Gun’ - the rhythm section are solid, creative but unflashy, grooving away imperturbably. ‘Cherry Des Moines’, named in tribute to the Cherry Sisters, ‘the worst musical act of all time’, has an indie-rock flavour to it’s straight-ahead rhythm track, like something Arcade Fire might do, but the theme and solos are pure NYC jazz. 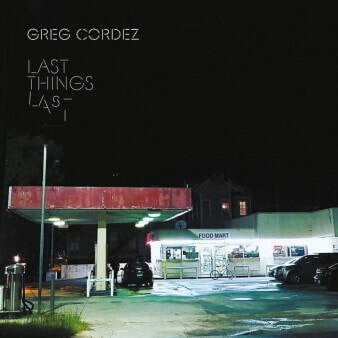 Cordez’ economical bass playing is a perfect match for Miller’s crisp, clean-cut drumming, and he’s mostly content to remain in the engine room and let his high-caliber soloists explore the forms he’s written - ‘Figlock’ is given to Cardenas as a workout over soaring horns, like a mix between Bill Frisell and Bon Iver - the guitarist’s back catalogue provides a direct link to Paul Motian and Charlie Haden through his work with both those titans. There’s plenty of great playing and Cordez’ compositions are convincing and emotive, but the mood is consistently introspective and downbeat after the first two tracks and the album might have benefitted from a more diverse programming - this band can really catch fire when the occasion demands. ‘JuneBug’ is a quiet, introverted closer and this highly individual record deserves a more rousing send-off.